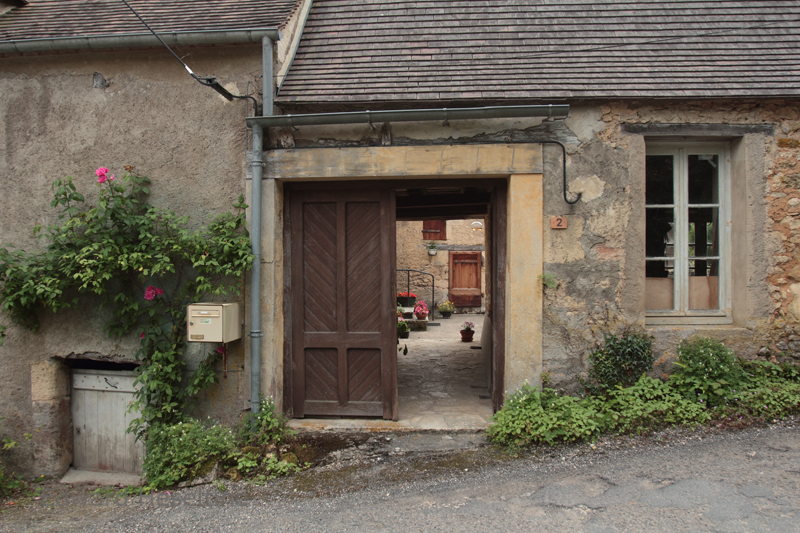 Having lived in the Dordogne for just over a year now, I have become accustomed to seeing the old buildings, streets and monuments that give the area its distinctive character. I realised recently that this acclimatisation has gone so far as to have me ignoring some of the natural beauty around me. On more than one occasion now, I have been walking past a scene that I visit regularly, only to find my eye settling on a detail, object or building that I’ve previously managed to ignore entirely. The image below is one of those scenes, just behind the place where I work. At first look, you may also wonder ‘What’s all the fuss about?’. A closer look will hopefully reveal that there’s more going on here than initially meets the eye. There is the repeating pattern of the doorways and windows that balances the look of the overall scene. The pots of flowers in the courtyard visible through the open door hints at an inner sanctum, hidden away from the hustle and bustle of the tourists. The small patch of stonework revealed on the right hand side shows that we’re looking at a pretty old building, probably a couple of centuries old. Finally, the letter box and climbing rose help provide decoration on the left side of the scene and the higgledy piggledy arrangement of the guttering and the electrical cable arriving at the house are typical of the French way of doing things. Do you agree that it’s worth a second look? What remarkable sights do you pass by regularly without taking the time to really stop and look?